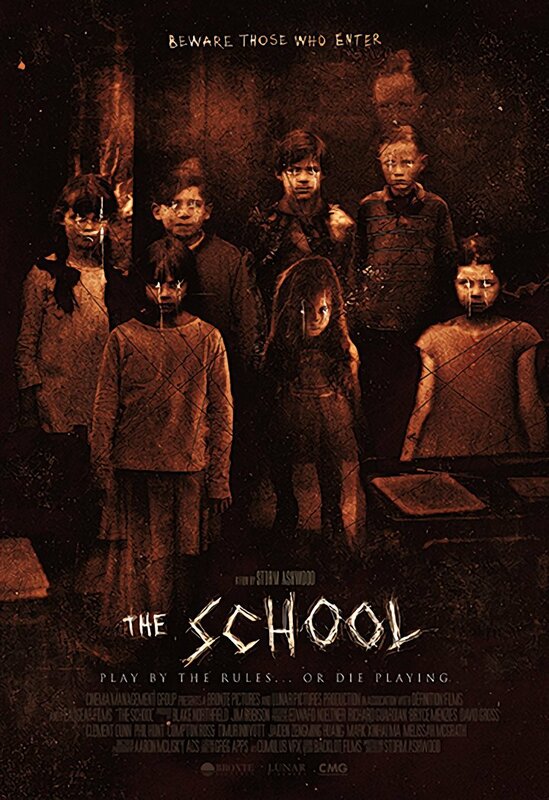 We have the first look at the Cannes artwork for The School, a supernatural horror directed by award-winning Australian writer/director Storm Ashwood. Bronte Pictures recently finished principal photography on the film. The School was filmed at the Gladesville Mental Asylum, which was founded in the late 1830’s, making it the oldest asylum in Australia. Unfortunately, the cruel and unusual punishment of its patients was a normality there, including the use of electric shock therapy and both patient and employee deaths were common. There are 1,228 unmarked patient graves on-site providing an unsettling location to capture the supernatural horror elements in the film. Blake Northfield and Jim Robison are producing for Bronte Pictures, while Phil Hunt and Compton Ross of Headgear Films are executive producers. The film was picked up earlier in the year by international sales company Cinema Management Group (CMG) acquired worldwide sales rights, excluding Australia and New Zealand. The School stars Megan Drury, Will McDonald, Nicholas Hope, and Jack Ruwald. Tom Hardy Signs Deal to Play ‘Venom’, Ruben Fleischer Directing! Arnold Schwarzenegger Confirms His Return to the ‘Terminator’ Franchise!